Oita was once the center of Japan’s inter-cultural exchange. We hope to continue and build on this tradition of initiative. 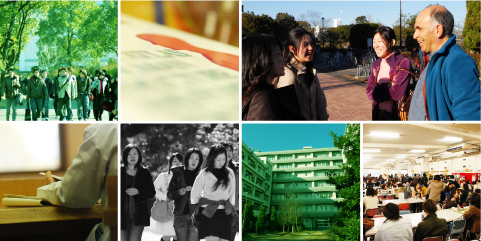 Oita University will foster people rich in creativity, social abilities, and humanity through education and research in the humanities, the social sciences, and the natural sciences. OITA UNIVERSITY 700 Dannoharu Oita-shi, 870-1192 JAPAN Copyright © OITA UNIVERSITY All Rights Reserved.